The republic of Malawi is a landlocked country in the southeast of Africa. It is reputed to be the Warm Heart of Africa. It covers an area of 118,000 square kilometers and has a population of 1,5118,000. The economy is dominated by agriculture, and the main cash crops include tobacco, coffee, tea, cotton and sugar cane. On December 28, 2007, Malawi established formal diplomatic relations with China. Bilateral relations have been developing well, bilateral trade relations have made substantial progress, and bilateral trade volume has been constantly increasing. 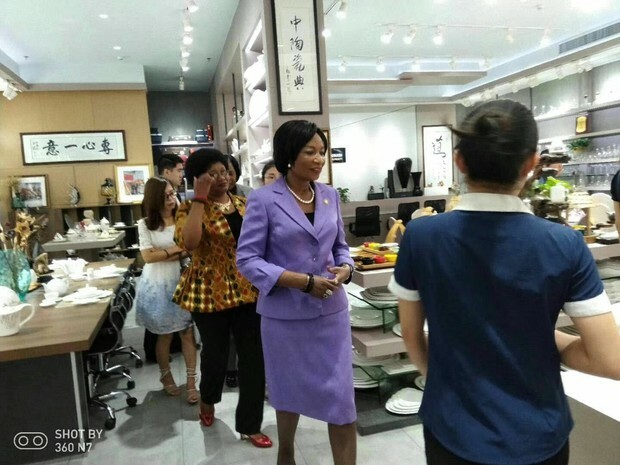 10 PM on August 26, Malawi President's wife, Gertrude and Malawi embassy in China staff to base shaxi hotel supplies expo city letter, Guangdong P&T Porcelain Co., Ltd became the first visiting the exhibition hall, send Su Qiu yuan tao manager on behalf of the company all staff welcome to visit to Malawi President's wife, and to Malawi President's wife was introduced in detail the development of the company. P&T ROYAL WARE is the executive vice President of chaozhou craft household ceramics industry association, mainly producing and marketing high-end tableware. 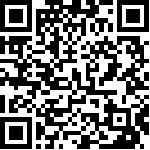 P&T ROYAL WARE was founded in 2003 in guangzhou, headquartered in haizhu district. Since its establishment, peitao company has adhered to the market orientation and the customer orientation, and constantly brought forth new products. 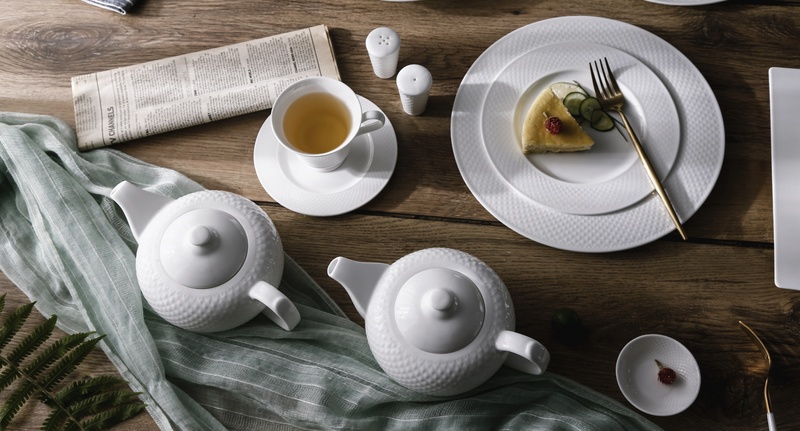 In 2009, peitao brand bone China was developed and established. The products have been exported to all over the world, and are deeply loved by customers at home and abroad. In order to better serve overseas markets, currently petao has established distribution cooperation companies in Malaysia, Philippines, Thailand, Cambodia, myanmar, Germany, Netherlands, Tanzania and other countries. 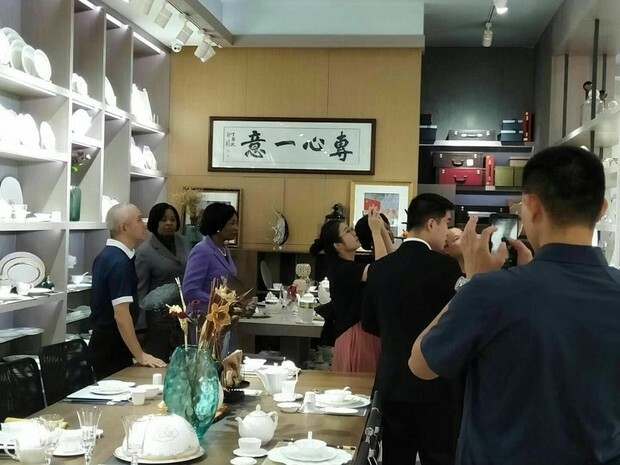 In August 2017, P&T ROYAL WARE company became the sole representative of China's ceramic industry and participated in the astana world expo, and became the gift merchant of guangdong week, promoting Chinese ceramic culture to exhibitors from all over the world. In September 2017, he became the sole sponsor of Hong Kong's world cantonese cuisine kitchen emperor competition. 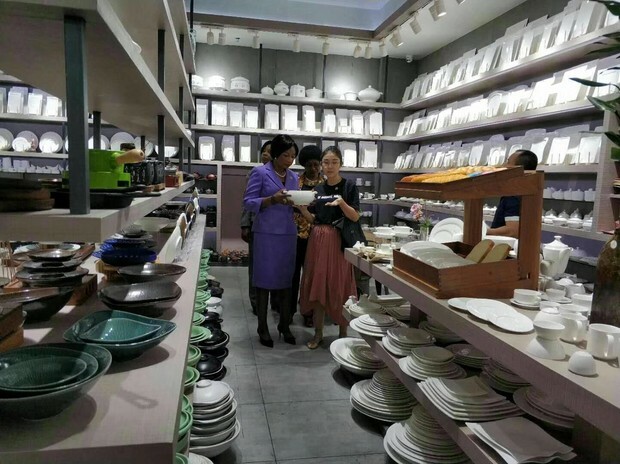 The President's wife visited the PI tao exhibition hall and had an in-depth understanding of the main products of PI tao - long DE porcelain, run, transparent and hard product features to impress the President's wife. The two sides exchanged business CARDS and reached preliminary cooperation intention.